8.6" x 5.7" stitched on 14 count. 6.7" x 4.4" stitched on 18 count. 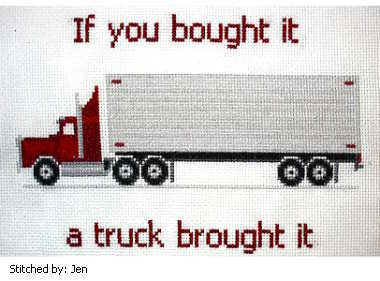 Semi Truck cross stitch pattern... Stitch something for that special trucker.